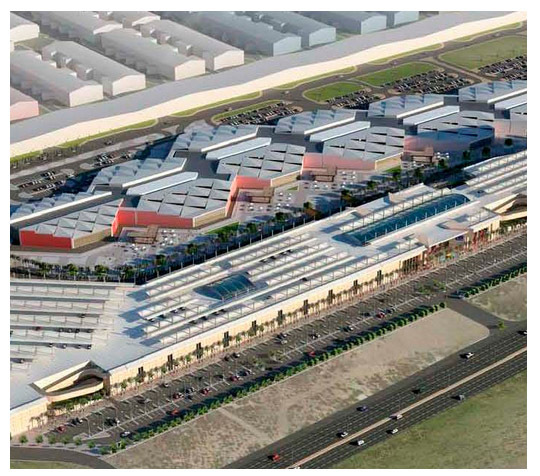 The Dragon Mart mega-development project near Cancún was designed to be one of the world's largest shopping centers featuring Chinese products. The 1,400-acre mega mall threatened critical habitats along Cancún's coast. Initial work on the project destroyed mangroves, wetlands, and other protected lands. Last week, project developers publicly announced their decision to abandon the project forever. In 2015, ELAW partner Alejandra Serrano won a tremendous victory when Mexico's environmental protection agency (PROFEPA) canceled the Dragon Mart project and imposed nearly $1.5 million in fines on the project developers for violating Mexico's biodiversity laws. During the lawsuit against Dragon Mart, Alejandra suffered numerous attacks. Her tires were deflated outside a public meeting, her home was broken into, and a car tried to run her off the road. In addition, the company threatened to bring a lawsuit against her organization. Alejandra called the case "a citizen triumph" but cautioned that in addition to the fines against the developers, the state government should hold accountable its own agents that granted the illegal permit. Congratulations to Alejandra and CEMDA for their victory for the environment and Cancún's communities.